The Christian County Emergency Management Agency hosted an Elected Officials Training Summit at the Janice Hopper Memorial Auditorium at Taylorville Memorial Hospital on Wednesday morning. 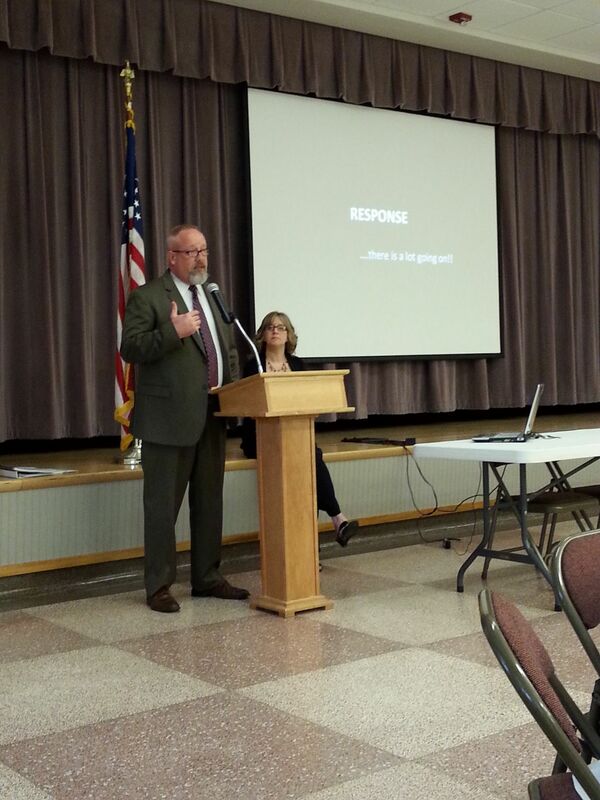 The keynote speakers were Tazewell County Emergency Manager, Dawn Cook and Decatur City Manager, Tim Gleason. Gleason served as City Manager for the community of Washington during the EF-4 tornado outbreak on November 17, 2013. During the summit, Gleason described the days leading up to the outbreak. He noted before the tornado struck Washington, he did something that he had never done before, which was alerting public safety officials before the event occurred. Cook talked about one of the steps of any disaster that occurs which is to keep a log and timeline of communications. Several elected officials from several communities in the area attended the summit.